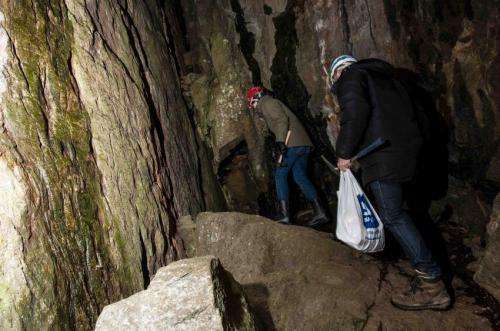 He and his colleagues have reported their findings in "International Journal of Speleology". The colleagues are Therese Sallstedt from NordCEE, University of Southern Denmark, Johannes Lundberg from Swedish Museum of Natural History, Rabbe Sjöberg, retired from Umeå University and Juan Ramon Vidal Romani from University of Coruña in Spain. The ceiling in the cave has small drop-like protrusions, which eventually will become dripstones. 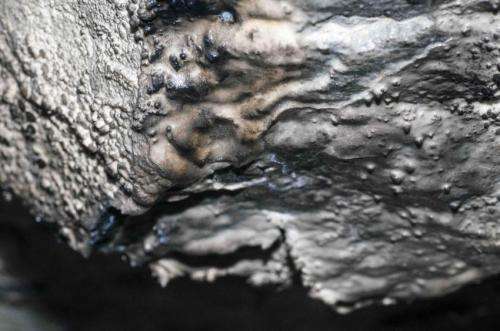 A dark biofilm of microbial organisms can be seen on the surface. Credit: Johannes Lundberg/University of Southern Denmark. 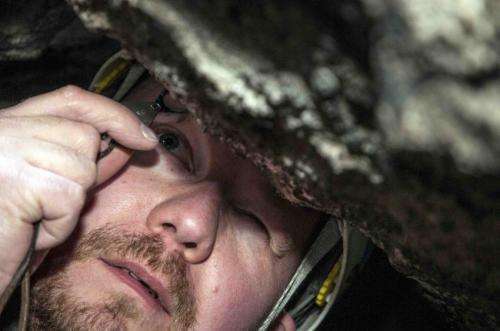 "Without this microbial activity dripstones would be smaller – or maybe even totally absent", he adds.